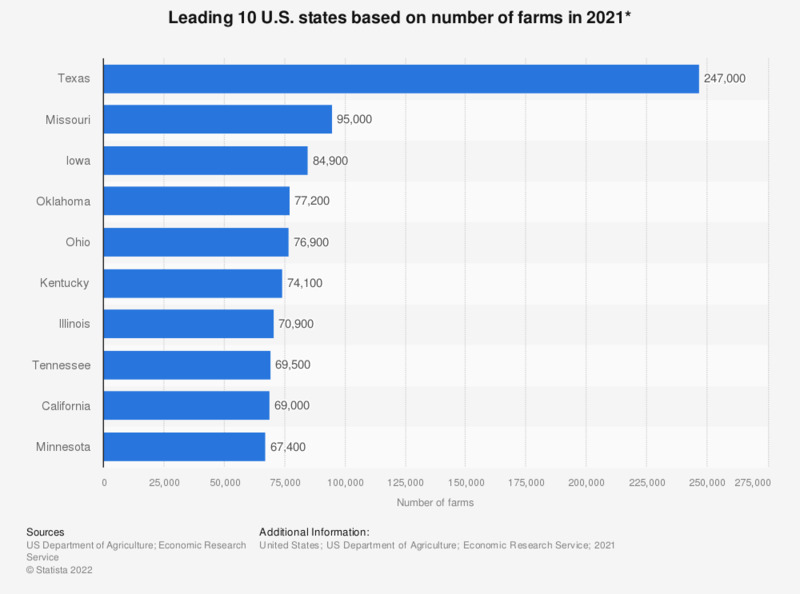 This statistic shows the ten U.S. states with the highest number of farms in 2017. In Texas, there were about 240,000 farms that year. * A farm is any establishment from which $1,000 or more of agricultural products were sold or would normally be sold during the year. All figures are preliminary. In your opinion, how important is it to protect the welfare of farm animals?